Not just what your country’s economy is based on, nor a criticism of free trade, but a new substitution rule. Our second last, in fact. If you’ve been following along, you’ve learned almost all of the essential rules of two-value first order logic. If you haven’t been, then welcome to Concept Crucible, and you can click here to get caught up. Now, on to exportation, starring my special guest, the friendly neighborhood Spiderman! Note how the brackets shift around R. Instead of being conjoined with L, it implies F. A common mistake is to write it as (L rarr R) rarr F), but this isn’t equivalent to the original premise. Let’s show this in action in a proof. 4. 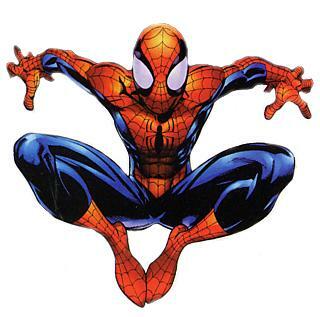 If Spiderman has great power, then if he does not have great responsibility then he is a villain. (P → (~R → V), Exportation from 1. 5. Spiderman has great power. (P), Simplification from 2. 6. Spiderman is not a villain. (~V), Simplification from 2. 7. If Spiderman does not have great responsibility, then he is a villain. (~R → V), Modus Ponens from 4 and 5. 8. If Spiderman is not a villain, then he does not not have great responsibility. (~V → ~~R), Contraposition from 7. 9. Spiderman does not not have great responsibility. (~~R), Modus Ponens from 6 and 8. 10. Spiderman has great responsibility. (R), Double Negation from 9. So as you can see, with great power comes great responsibility. I admit that I haven’t actually seen the new Spiderman movie yet, but it’s something worth thinking about anyway. So that’s exportation, and leaves us with just one more substitution rules, one of the trickiest, and also the only one named after a person rather than a function. Get ready for DeMorgan’s! about this, because i can’t unneastrdd your language. But, hey, I’ve got something to say about the tragedy that got the Spiderman thinking this. See the movie: his uncle dies because of his failure. But think again: if he got no power at all, he would not save his uncle either. And would never see the killer, because he would never go to fight. See the movie: that’s all a fallacy. Vad mysigt med weekend i London! Det var mÃ¥nga Ã¥r sedan jag var dÃ¤r och jag Ã¤r lite avis – gillar London. Ha det riktigt skÃ¶nt! I can just picture Obama, locked in his presidential bathroom, hyperventilating & wondering WTF went wrong and so quickly. I pray that this clown will continue to pig-headedly operate at least for the next six months, exactly as he has for the past 17 months.This may yet prove to be a boon for American politics. Ã…h, vi Ã¤lskar snickerskakor i den hÃ¤r familjen, sÃ¥ jag blev jÃ¤tteglad nÃ¤r jag hittade ditt recept! Nu blir min karl glad :)Kommer absolut lÃ¤nka hit, det hÃ¤r verkar vara en alldeles superbra blogg! I want to have ABS! I have way too many things going on right now and I’m having a really hard time admitting that not everything can be a balls to the wall priority. With work, a huge work-related exam, and a bf recovering from a really bad skiing accident, my abs just have to take a back seat. It’s a hard pill to swallow because I’m going to Italy in June and want to look perfect. I keep telling myself I can focus on them soon enough, and then I know just what to do to achieve my goal! Great job. Ever since reading the article, I have been struggling with all of this. I want to write a response to the article but honestly can’t make sense of all of the thoughts,concerns, anger,fear swarming around my head at the moment. Thanks for such an intelligent voice to all of this mess. Nous nous sommes vu assaillirNous nous sommes vus mourirassaillir est transitif: nous avons vu (assaillir nous). Le 2iÃ¨me « nous » est COD de assaillir, pas de voir.mourir est intransitif: nous avons vu nous [en train de] mourir. Le 2iÃ¨me « nous » est COD de voir (il ne peut en Ãªtre autrement puisque mourir n’ a pas de COD).